Instructions proposes a method for realizing an immaterial object. Manifested through the touch of the fingers coupled with our innate sensation of space, the interpolated line resonates with Twombly’s 1957 statement “Each line now is the actual experience with its own innate history. It does not illustrate – it is the sensation of its own realization. ”This work was first printed in 2013 in Do it: The Compendium (ed. by Hans Ulrich Obrist). The publication contains instructions for action by 167 artists and is intended as a conceptual exhibition. 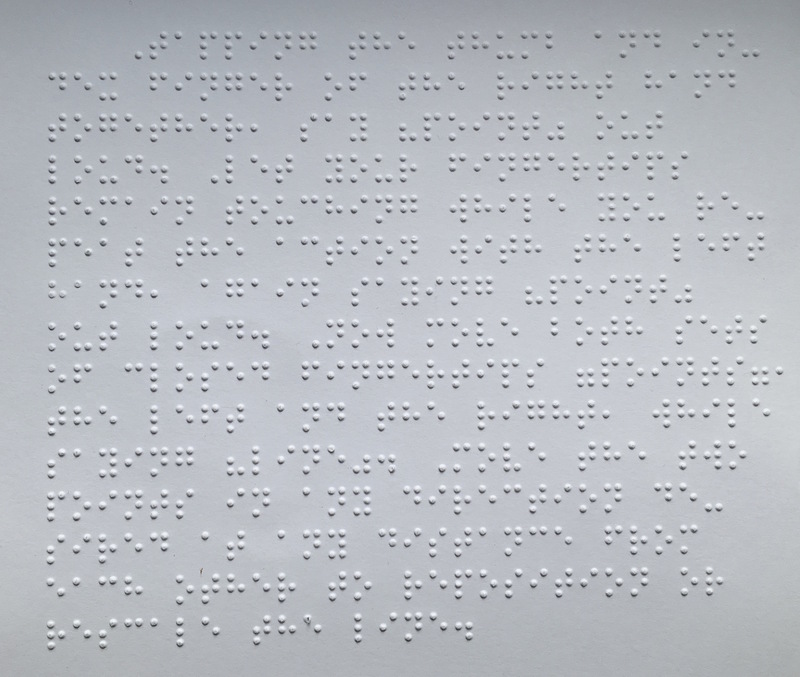 Forsythe’s instructions for a course of movement has been inscribed on the museum wall in a manner legible for all, and moreover printed on a card in Braille. The text describes a method for realizing a non-existent, invisible object. Paradoxically, the invisible object can only be sensed through the touch and proprioception of the fingers.